Diet Healthy Living Info - Different healthy diets has been the main topic of this site so far, but here we also want to talk about the importance of living your best life ever! It's so important to feel good, to be happy and to do what means a lot to you. You will find some very inspiring thoughts on this page. 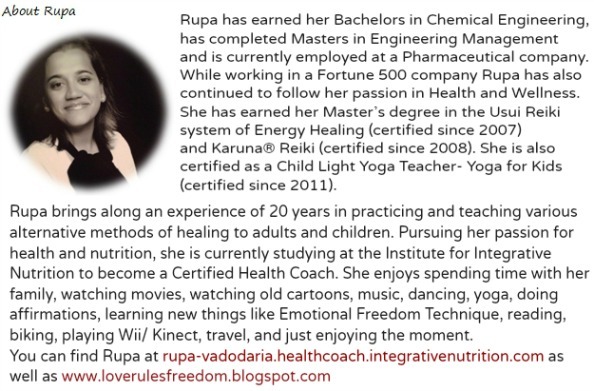 Rupa really makes us think when we read her words. So make sure that at the end of this page you also participate, by leaving your comments. Why should I feed my soul? BEING or Feeding your soul as some say is being present in the moment. Others call it meditation and being in deep trance. And some call it a spiritual practice. For some it happens during praying for themselves or others. For me it's being with myself - just listening to myself. I had once heard that "someone can only spend that much time with you as much as you are able to spend with yourself; someone can only enjoy your company as much as you enjoy being with yourself". Being with myself and listening to self happens in those moments of silence. Moments of silence where my ability to understand things improved, my ability to listen became better, my ability to be peaceful multiplied, my ability to focus increased; I became calmer, clearer, happier and a thousand other things that I cannot count here. All of this just by being with myself while I learn to be still. Learning to be in my own company. Learning to listen to what my body, mind and spirit is trying to say to me. It is also a form of Gratitude. Gratitude for all that I have. Shifting focus into all that is available to me. Only if we took the time to become SILENT. Have you looked at it closely? SILENT when scrambled spells LISTEN. Listen to the amazing, fabulous individual that you are. Become silent and tune in to hear the soft, subtle voice that's in you "Your Inner Voice". Lower the volume of the outside world and dial into that channel which is really Your Own Tune and take care of that person within. Unplug yourself from all the things you need to do and sit down just focusing on your breath. 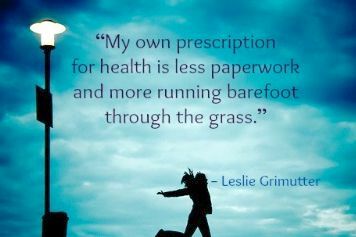 I am not an expert on how our body works all I know from experience is that if I just take a few minutes during the day to pay attention to how wonderful it is and learn to just be with myself, the body and mind rewards me with so much more awareness. Just sitting down, relaxing, breathing and bringing my attention to my breath, learning to slow down a little has helped me clear my mind, helped me focus better and of course has helped me become peaceful and calm. In this information overloaded world I feel I have found my center of finding that peace with everything around me. - How can I feed my soul? There are so many ways to quiet one self. The most important one is what is it that calls you? Or pulls you? Or you like to do? Some people like to run, some people walk in nature while listening to the birds, some can just sit in silence and observe and others can use some meditation music. There are some who feel calm when they make puzzles and some enjoy drawing and painting. It really doesn't matter what helps you calm down. There is no set way of being with self. Whatever it is that touches your soul is what you do. Whatever makes you happy. The point is to just do it. Do it for yourself. Become connected to yourself. Whatever it is you are doing. Take the time today to just sit there. Do nothing. Just relax. And listen to your breath. Aren't you thankful that you can breathe? That you are alive? That your body just so easily without any extra instructions knows when to breathe in and breathe out! Take your time and be in the moment. Be thankful for what you have. Slow down a little. There are just so many benefits to it. But the one I like the most is you will realize that you are your Best friend! You will be happy to meet yourself. EMBRACE yourself and enjoy this moment with this beautiful soul that is YOU. Enjoy BEING a HUMAN! And BREATHE. Notice how the world will expand around you as you become aware of small wonderful and beautiful things around you. Transform from a person who is on the run, to a person who knows how to just BE. Diet, healthy living and feeding you soul are important topics to think about. How is everything for you? Are you happy? Is there maybe something you could work on?